Dairy free – Suitable for vegetarian, lactose intolerance or people who allergy to cow’s milk protein. Gluten free – Suitable for people who are gluten intolerance or simply want to avoid wheat. Water and certified organic hulled soya beans*. It tastes good drink it cold or hot. 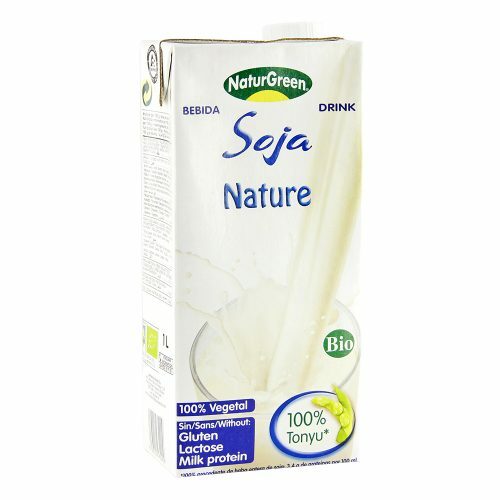 Replace milk with NaturGreen Soja Natural in cereal, coffee or tea. Store in cool dry place. Refrigerate and consume within 4 days once opened.